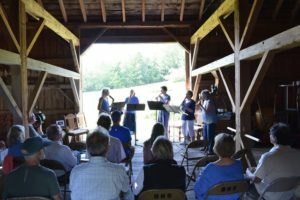 The five members of the Full Circle Recorders ensemble perform during our eighth annual Woodwinds in the Middle Barn concert at VFF’s Anderson Wells Farm. People weren’t the only ones charmed by the cadences of the Full Circle Recorder ensemble at our recent eighth annual Woodwinds in the Middle Barn. As the five musicians stood before the open barn doors and began “A Tune for the East India Nightingale,” a Baltimore Oriole–the first we’ve spotted at Wells Farm this year–swooped toward them from the garden. Dazzling in its brilliant orange and black plumage, the oriole swooped left as it neared, and disappeared behind the barn wall. That was just one of the many enchantments of the evening. 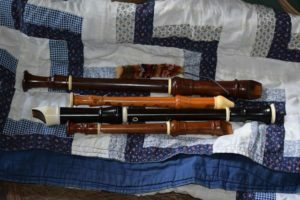 Led by Susan Reit de Salas, the ensemble played an array of recorders played several bird-themed pieces, plus many others, on an array of recorders that included several from the recorder collection of Lester and Monique Anderson, who owned and cared for Wells Farm for 50 years. 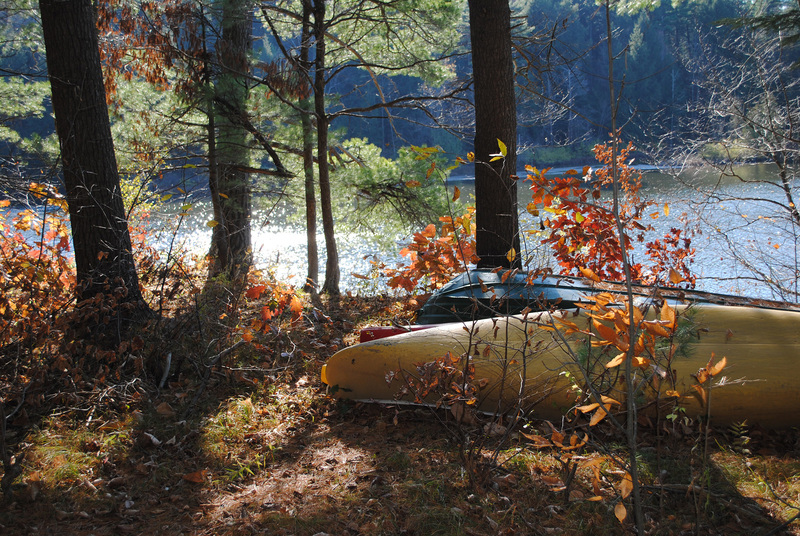 In 2015, upon Lester’s death, their land was entrusted to Vermont Family Forests and was entered into a “forever-wild” conservation easement held by the Northeast Wilderness Trust. Recorders from Lester and Monique Anderson’s collection of Coolsma and Dolmetsch recorders. Before they were land conservers, Lester and Monique were, among many other things, recorder players and members of the Washington DC Recorder Society. Since 2011, Woodwinds in the Middle Barn has celebrated Lester and Monique’s exceptionally deep love for their home lands, as local musicians create beautiful harmonies from their recorders.Full Circle website blog. 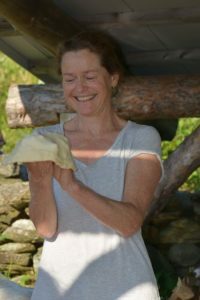 Stretching the dough for a pizza at VFF’s homemade earth oven. The eighth annual Woodwinds in the Middle Barn concert was a feast for both ears and belly. Following the concert–which featured Susan and her fellow ensemble members Mary Ann Samuels, Maeve Kim, Beth London, and Linda Rodd–we ate pizzas cooked in the Wells Farm earth oven, with toppings that included scapes and herbs from the garden, as well as pesto and canned tomatoes from last year’s garden. As the sun sank toward the western horizon, we gathered around our earth oven, with the Middle Barn in full view before us, and savored the flavors of friendship and healthy land. Total deliciousness.